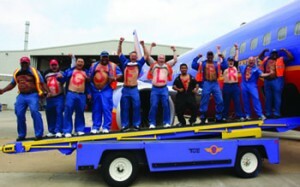 There was a lot to celebrate at Southwest Airlines’ annual shareholders’ meeting last week. The company was riding high after reporting net income in Q1 2014 doubled to $152 million and passenger revenue per available seat mile, a key performance metric for the airline industry, rose 3.5%. .
From 1990 through 2003, the U.S. airline industry as a whole turned a profit in just six of 14 years. In the early 1990s it lost $13 billion and furloughed more than 100,000 employees; Southwest remained profitable and furloughed not a single person. Despite an almost chronic epidemic of airline troubles, including high-profile bankruptcies of some major carriers, Southwest generated a profit every year for 30 consecutive years. Equally important, Southwest had the discipline to hold back in good times so as not to extend beyond its ability to preserve profitability and the Southwest culture. It didn’t expand outside Texas until nearly eight years after starting service, making a small jump to New Orleans. Southwest moved outward from Texas in deliberate steps — Oklahoma City, Tulsa, Albuquerque, Phoenix, Los Angeles — and didn’t reach the Eastern Seaboard until almost a quarter of a century after its founding. 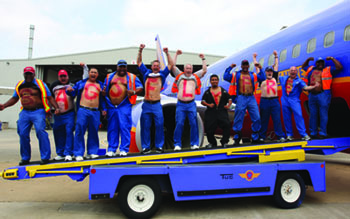 In 1996 more than 100 cities clamored for Southwest service. And how many cities did Southwest open that year? Four. In the research for my book, What Great Brands Do, I found that exercising the discipline to say “no” to seemingly attractive growth opportunities is a defining characteristic of great brands. I also found that great brands rely on their brands to help them make these tough judgment calls, committing to preserve their core identities at all costs. They establish a clear and focused brand identity and use it as a compass to navigate the flowing waters of opportunity and chart a course toward sustained growth and profitability. My latest QSR Magazine Brand New Perspectives column introduces two methods for drilling down to your core brand identity: Brand Documentary and Brand Obituary. Please check out the article here, give the tools a try, and let me know how it turns out. P.S. If you’d like to learn about other distinctive characteristics of great brands, check out my new bestselling book, What Great Brands Do: The Seven Brand-Building Principles That Separate the Best from the Rest.